One of the great joys of being a photographer is finding unexpected beauty in the simplest things. I went out one recent morning to capture the fog rising out of the hollows of the Shenandoah Valley. I rounded a curve on a narrow country road and found this scene. 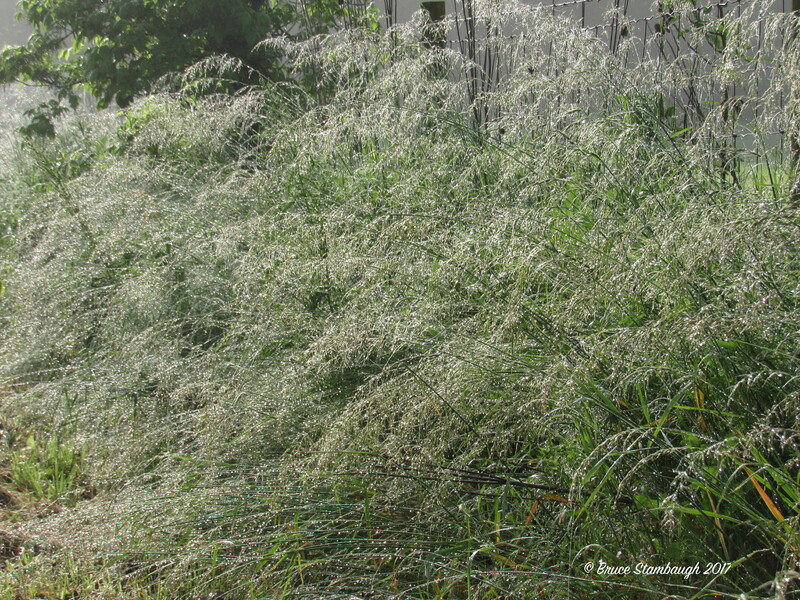 The bright morning sun illuminated thousands of dew drops congregated on weedy grass stems growing from an embankment. I thought the silvery effect was gorgeous. “Silver on Green” is my Photo of the Week. Beautiful! The Shenandoah Valley is one of the most beautiful places in the US in my humble opinion. If I had witnessed this in person most likely I wouldn’t even have noticed it. But I love this photo. I’m glad that it was significant to you and that you shared it.